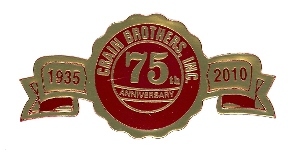 Many projects require the ingenuity of a company such as Crain Brothers to overcome the obstacles of marsh or marine construction. There is always a wet spot that requires the expertise of Crain Brothers and their unique amphibious equipment. With the use of company-owned and specialized equipment, along with hand-picked trained personnel, Crain Brothers can handle the construction or repair of any size or length of pipeline in the wetlands, marine, and inlands in a very cost-effective manner. Contact us today for more information! We have both timber & steel based facilities for a wide array of specialized services to accommodate our clients' varying needs. Using spud barges and other specialized equipment we can drive pilings for docks, access bridges, levees, meter stations, and various other custom construction in a marine, wetlands, or inlands environment. 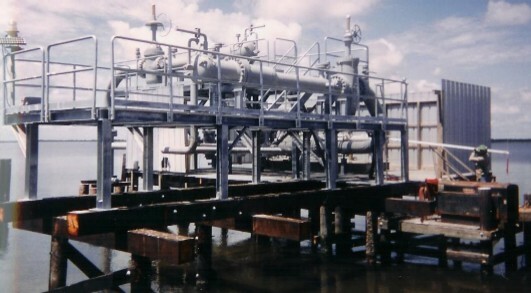 Construction of oil field access bridges using either a timber or concrete base can be effectively accomplished using our specialized equipment. Our experience in road fill and levee construction is unsurpassed. Our years of expertise is second to none. We have very closely monitored and followed the most modern trends in helping to prevent several types of problematic erosion. Our workers' high level of skill and experience ensures that our environment protected. We have many years of experience in the design, development and construction of both fixed and floating platforms. Do you need specialized machinery that you can't find anywhere else for an in-house job? Contact us for an inventory of our currently available rentable equipment. We have three locations to best serve your needs: our Main Office Dock in Grand Chenier, our Offshore Docks in Grand Chenier, and our LaFitte Terminal and Load-Out Facility. Our full service docks offer 24 hour service, seven days a week when needed. We also have a fuel service as our Grand Chenier dock which is located one mile inland of the Gulf of Mexico on the Mermentau River. Contact us today for more information about our dock facilities.